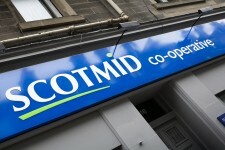 Scotmid Co-operative was founded with corporate social responsibility (CSR) at the core of its values. We use ten key social and co-operative performance indicators recommended by Co-operatives UK to assess our work in CSR, including supporting local communities and co-operative initiatives, ethical procurement for our products, investing in our people, member democratic participation and environmental initiatives. Full details of our CSR performance are available to view in our annual report. Member economic involvement has remained level at 16% using the data from an independent exit survey carried out by Why Research at a sample of our stores selected from locations across our geographical area. We also ask for customers to give online feedback and from October 2016 we have been asking if the customers providing the feedback have been members. 17% of the responses have stated that they are members which is in line with the percentage via the exit survey. 176 (2015/16 – 178) members attended the Annual General Meetings on 25 and 26 April 2016 and 165 (2015/16 – 151) members attended the Ordinary General Meetings on 3 and 10 October 2016. Members meetings in the North continue to rotate to provide a greater opportunity for members to participate in meetings. This year around 24,500 hours (2015/16 – 27,000) of formal staff training took place, an average of 5.73 hours per employee (2015/16 – 6.11). This training included 8,850 hours of e-learning compared to 11,500 hours last year. The overall reduction in training time is related in part to a vacancy in our training team, which created some delays in the training programme but also reflects variation in the e-learning programme which has a three year cycle. The business continues to provide a significant amount of informal training to store colleagues on an ongoing basis. Members actively participated in a total of 396 hours of training compared with last year’s total of 321.5. The number of training hours per “active” member (where active membership for training purposes has been defined as the number of members attending the AGM) increased to 2.25 hours (2015/16 – 1.81 hours). Following a refresh of the Learning Pathway, new training sessions were offered during the year which were well received. There was a reduction in reportable accidents involving staff, amounting to 10 occurrences compared to 13 last year. This equates to 0.2% of the average total workforce. There was an increase in reporting of general staff accidents, rising from 182 to 219, which is 5.1% of the average total workforce. This gives a combined total of 5.3% (2015/16 – 4.4%). Our reducing record of significant reportable incidents is likely to be related to the improving accident reporting culture throughout the Society. The improvement of accident reporting helps create better visibility of trends. This allows remedial actions to be carried out e.g. issuing advice bulletins or conducting property repairs which will prevent more significant reportable accidents occurring. Days lost due to absence amount to 32,945 this year (2015/16 – 30,740) which represents an average of 7.7 days per employee (2015/16 – 6.9). This increase is significant but is likely to be magnified by some long term sickness which we monitor on an ongoing basis. The CIPD absence report highlights that higher figures are reported in a larger workforce. This is an area that is subject to ongoing review by our People and Performance team. Scotmid had an average of 4,274 employees in 2016/17 (2015/16 – 4,418). This difference has arisen from some store closures and increased efficiency in stores. Our gender profile is 72% female and 28% male which is slightly altered from 2015/16 when the figures were 74% and 26% respectively. Ethnicity statistics were updated this year following a full staff survey in 2015/16. The response level has been reasonable however this survey continues to be refined. The ethnic mix of our staff is representative of the communities which we operate in, with the highest levels of ethnic minority colleagues reported in our urban locations in line with national demographics. Harris International Marketing conduct a convenience store survey annually which we participated in during 2016. This survey has shown an improvement in our customer satisfaction ratings for primary needs to 84% compared to 71% last year. We regularly ask for feedback from our customers so that we can address areas of concern. The majority of the Society’s purchases are through the Co-operative Retail Trading Group (CRTG) now reformed as the Federal Retail Trading Services (FRTS). The Group remain committed to the principles of sound sourcing, animal welfare, food integrity, health and ecological sustainability as set out in their Sustainability Report published in June 2013. We have included our Modern Slavery Statement on page 24. Our investment in Community and Co-operative initiatives amounted to around £313,000 in 2016/17, compared with £300,000 last year. This amounts to 6.1% of our trading profit (2015/16 – 5.2%). An indication of the breadth of community initiatives supported is provided in the Directors’ Report on pages 14 and 15. This year £24,000 (2015/16 – £11,000) was invested in co-operative initiatives. Childline, our last charity partner was launched in September 2016. Childline, which is part of the NSPCC, has been providing confidential support to young people for 30 years. To date £136,000 has been raised by Scotmid colleagues, customers and members. The purpose of the partnership is to raise funds which will support 75,000 extra contacts with Childline’s volunteer counsellors. In August 2016 a very successful partnership with Alzheimer Scotland and Alzheimer’s Society concluded. A total of £375,000 was raised (£243,000 within this financial year) which is a record amount for our charity of the year. Scotmid’s aim to reduce net greenhouse gas emissions by 20% by 2020 (using 2008 levels as a base) has been achieved well ahead of schedule, however the business has continued to invest in energy saving initiatives including the continued roll out of LED lighting, building management systems and specialised software to optimise heating and air conditioning energy use. Our new target is to reduce our gross emissions by 30% by 2020 using the same base. We continue to report on direct Greenhouse Gas (GHG) emissions in two ways: net emissions (that treat electricity from renewables as zero carbon emissions) and gross emissions (that treat electricity from renewables in the same way as ‘brown’ electricity). GHG includes carbon dioxide (CO2), methane (CH4) and nitrous oxide (N2O). Carbon dioxide emissions are produced as a direct result of burning fossil fuels. The gross emissions, which includes all energy used, are 21,409 tonnes of GHG (2015/16 – 22,839 tonnes), a reduction of 6% from last year, arising from our ongoing energy saving investment. This includes all our electricity which we purchase from renewable sources. The Society produced an estimated 2,568 tonnes of GHG (net of renewable sources) from on-site operations compared to 2,574 last year. This equates to 0.6 tonnes of GHG per employee (2015/16 – 0.58 tonnes of GHG). This is broadly level and includes fuel for vehicles in addition to gas usage. The underlying data shows an overall drop in gas usage but an increase in diesel which corresponds to changes in our supply chain in the prior year. We continue to backhaul our waste from Food and Semichem stores. The waste is then processed for enhanced recycling. Our Head Office and Funeral offices recycle cardboard, paper and plastic through our waste uplift provider. As a result we estimate that we have recycled 5,400 tonnes of waste (2015/16 – 4,800). The proportion of waste recycled has risen to 98% compared to 92% last year. Our total waste was higher this year due to three large building clearances. The estimated figure for waste to landfill is around 100 tonnes compared to 400 tonnes in 2015/16. We are continuing the drive to achieve zero waste to landfill and at 98% we are very close to this target. This statement is made pursuant to s.54 of the Modern Slavery Act 2015 and sets out the steps that Scotmid Co-operative Society Ltd has taken and is continuing to take to ensure that modern slavery or human trafficking is not taking place within our business or supply chain. Modern slavery encompasses slavery, servitude, human trafficking and forced labour. Scotmid has a zero tolerance approach to any form of modern slavery. We are committed to acting ethically and with integrity and transparency in all business dealings and to putting effective systems and controls in place to safeguard against any form of modern slavery taking place within the business or our supply chain. In order to progress this, a committee has been set up to review our practices and introduce revised policies and procedures to strengthen our controls in this area. As a retail co-operative society, our business model has some complexities in that we operate in different sectors. We have multiple suppliers for goods for resale and services. The most significant sector we operate in is Food convenience retailing and over 90% of our stock is purchased from the Co-operative Group via our membership of the Federal Retail Trading Services (FRTS) who have ethical buying policies and are leaders in this field. We support Fair Trade directly through local initiatives but also as part of our membership of FRTS. The majority of Semichem’s suppliers are high profile manufacturers of brand leading consumer goods who publish extensively on their ethical position. Some of our supplies are purchased from suppliers who source outwith the EU and these suppliers are being classified as high risk. We will focus on these suppliers initially and aim to gain assurances that they do not have modern slavery occurring in their business. We will work on an appropriate Modern Slavery policy as part of the committee activities noted above. Scotmid maintains a preferred supplier list. We conduct due diligence on all suppliers before allowing them to become a preferred supplier. This due diligence will be revised to include steps to ensure that there is no modern slavery occurring in their business. We are in the process of revising our standard terms and conditions to take account of ethics and modern slavery and then we will reissue these, prioritising the higher risk suppliers. We will design and deliver training for our procurement/buying teams so that they understand the signs of modern slavery and what to do if they suspect that it is taking place within our supply chain. As a Co-operative Society we aim to operate our business in line with Co-operative values. Co-operatives UK outline a set of social responsibility indicators which provide a means for measuring this performance. Scotmid has a diverse range of operations so these measures are not always readily available or the most relevant for all our individual businesses. To overcome this, estimates are used where appropriate or we use sample data from our Food convenience business. We’re proud to support Fairtrade.